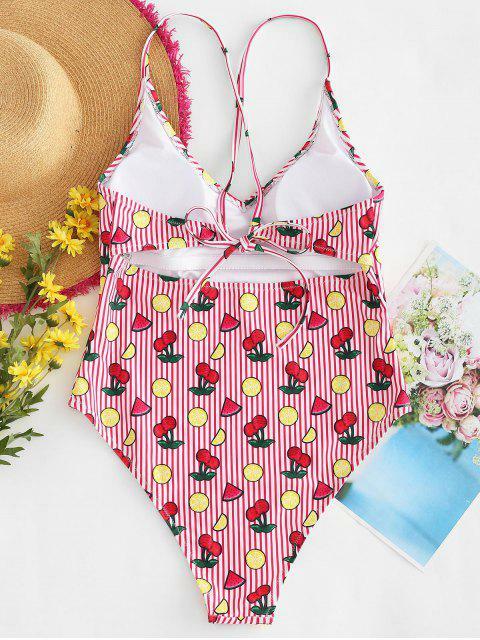 [42% OFF] 2019 Cross Strap Cherry Striped Swimsuit In LAVA RED | ZAFUL ..
Just get ready to join the fruit party in our figure-flattering bathing suit! 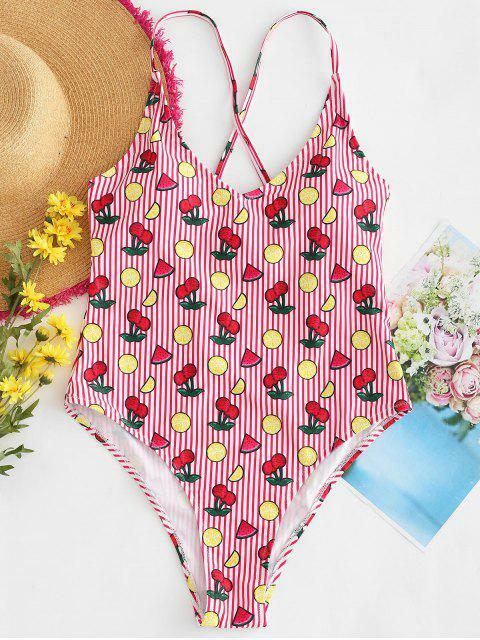 Featuring mix and match fruits and slim stripes throughout, this one-piece swimwear has slender criss-cross straps tied at the open back to make a suitable fit. Super high-cut opening legs elongate the figure for a perfect proportion of the curves. 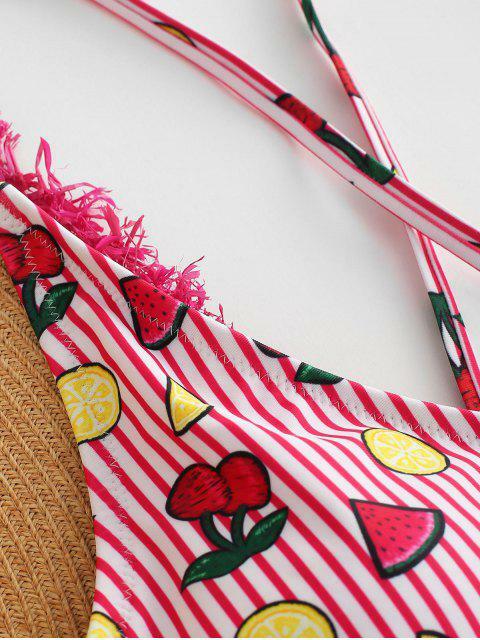 Padded cups provide comfortable support and help shape the bust.